The Body Shop Matte Clay Powder comes in 6 shades and each has 10g. I think there are plenty shades for people with fair and light complexion, just 2 for medium to dark skin and sadly almost nothing for people with darker skin. I have received 4 out of 6 shades, I have the lightest shade but also the darkest shade, and this is how I know that the darkest shade is not dark enough, hopefully soon they will add more darker shades. 010 Peruvian Lilly is the lightest shade, perfect for light complexion, it has a bit of cool pink tone in it. 034 Japanise Maple, warm tone it has a bit more yellow than Kyoto Blossom. 072 Santiago Walnut is the darkest shade and I used it as a bronzer, it has some terracotta red in it but I think is neutral tone. These powders are enriched with Community Trade tea tree oil and Maroccan lava clay and they are 100 %vegan. 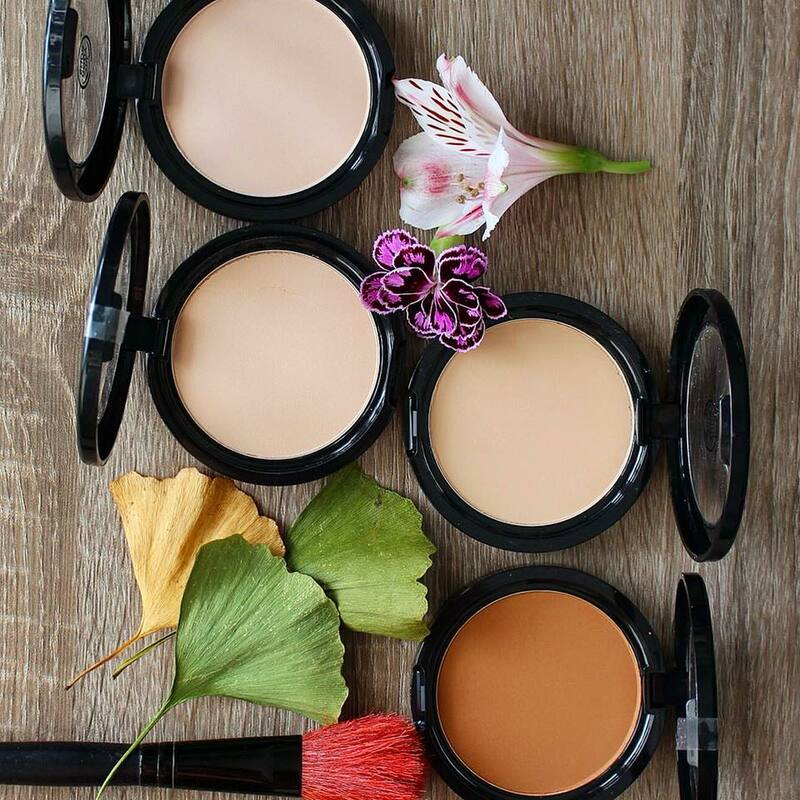 These powders provide a medium to high coverage and you can wear them alone or on top of your foundation. The texture is ultra light, they dont feel chalky but very soft and somehow creamy, probably because of the dymethicone and glycerine. They are ideal for all skin types and compared to other matte powders these ones from The Body Shop are suitable even for sensitive and dry skin. I have dry and sensitive skin and when I got these powders I was a bit sceptical of how good and natural they will look on top of my foundation and if they will dry out my skin, but they looked beautiful, natural and lasted a very long time without fading or caking. I am always looking to find really good powders and its been really difficult to find something that is affordable and wears beautiful on skin. When you have dry skin is really difficult to wear powder because it will only enhance the dullness and the flakiness of my skin and I dont want that, plus I absolutely hate the "powdery look " that adds some extra years on everyone's face. I love the formula, I love how they look over my foundation! I tested it with several types of foundation- none was from The Body Shop and it looked beautiful and natural every single time. It wears for hours and only after 8 hours I could see some shine on my forehead, but not more than when I used other similar powders. Peruvian Lilly is a bit too light for me during summer but it will be perfect for winter. At the moment I am using Japanese Maple and it fits like a glove with my foundation and my skin tone. Before I forget I want to mention that these powders are very photo friendly in natural light and they dont change the color of my foundation. For high coverage you can apply with a buffing brush and to set and mattefy you can just dust over your foundation with a fluffy face brush or gently press with a velour sponge. They are very new and also very good.